Welcome to the Hampton Inn by Hilton St Catharines Niagara, centrally located within 10 minutes of Niagara Casinos, Niagara wine region and other top attractions. Our hotel offers convenient access to all major highways including QEW Highway and 406 Highway. Our one bedroom suites are fresh and modern spaces with a microwave, mini-fridge, 42-inch HDTV, coffeemaker, and a work desk with ergonomic chair. Feel rested after a great night’s sleep on the clean and fresh Hampton bed®, and stay connected with free WiFi and plenty of device-charging spots. Start each day with a free hot breakfast. Grab a bite to eat in Perkins Family Restaurant. Our Suite Shop is always open for snacks and drinks, and there’s free coffee and tea service in the lobby. Refresh in our heated indoor pool or workout in our amazing state of the art Energy Fitness Centre. Don't forget to sign up for some of our fitness classes such as spinning and yoga. We also have a business center and guest laundry room. Perkins Family Restaurant is open from 6am to 10pm daily, serving all-day breakfast. Kids eat for only $3.99, and seniors receive 15% off anytime after 3pm Monday-Friday. With their famous omelets and buttermilk pancakes, the only problem you’ll have is choosing what to order! And don’t forget to stop by the bakery and grab some freshly prepared cookies, muffins or their famous cinnamon rolls! Energy Fitness Studio is an extensive 20,000 sq ft membership club specializing in fitness for the whole family. Members love their state-of-the-art equipment, spacious lockers, free towel services and over 30 weekly (free!) classes. Energy Fitness Studio is also home to Niagara’s only Eliminator Outdoor Cross Training Course. 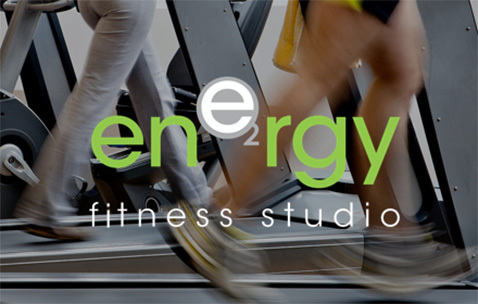 Take a tour today and see why Energy Fitness Studio was ranked the #1 fitness club in Niagara.